Each year Airscene asks its visitors to choose their favourites from the UK airshow scene. The top 3 nominations in each category are then shortlisted for a further round of voting in order to determine the best in each category. Yeovilton Air Day won Best Airshow this year, closely followed by RAF Cosford Airshow in 2nd place and Royal International Air Tattoo in 3rd place. RIAT has now appeared in the top 3 for the 3rd consecutive year. The Best FREE Airshow category has in previous years seen a bit of southcoast rivalry going on between Bournemouth and Eastbourne with Eastbourne taking the crown every time (last year receiving 65% of the votes). 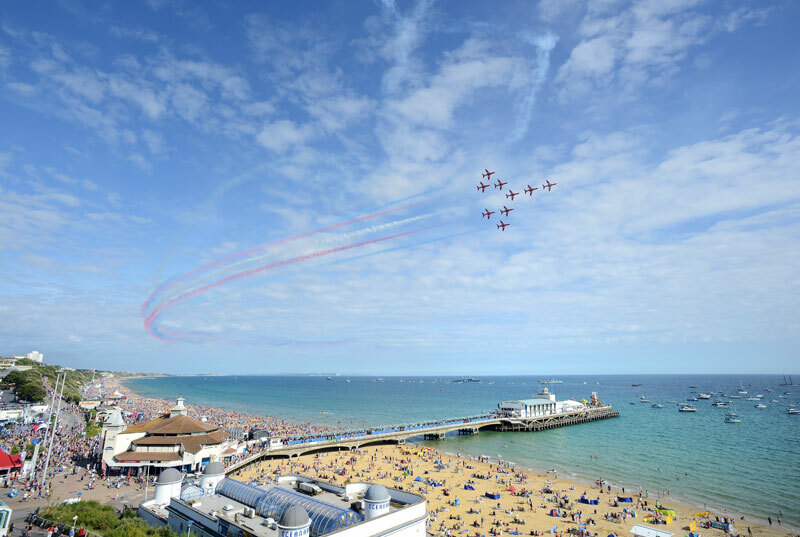 This year see’s Eastbourne remain in the top 3 but rather robustly put in its place by Bournemouth Air Festival who have been voted Best FREE Airshow this year. “Bournemouth air show is the best free air show I have ever been to. Bournemouth organises this event and promotes it well too. They ensure everyone is safe and having fun. And it did Laura! Whilst the weather clearly has a big part to play, these comments serve to show it is the dedication and hardwork of the teams behind these events which keep them in the top 3. Sunderland Air Show came 2nd whilst Eastbourne held on in 3rd place. No Contest in the Best Display Team category with the Red Arrows scooping the majority of the votes for the 3rd year running. The Blades made a bit of a dent in the Red’s popularity and placed 2nd but there can be no doubts that the Red Arrows are firmly rooted in the public’s affections. Finally… RAF Museum Cosford have beaten IWM Duxford to be crowned Best Aviation Museum 2013 by just 9 votes! 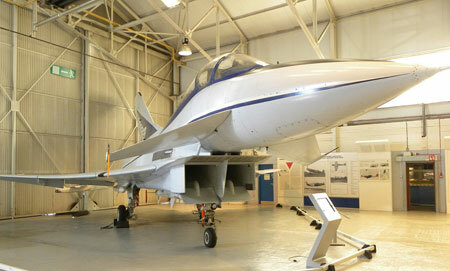 Cosford also won this category in 2011, however were the only museum nominated that year. 3rd place went to the Fleet Air Arm Museum who scooped 30% of the votes – all in all a very tight category this year. Thankyou to the teams behind the Airshows, Museums and Displays Teams for educating and entertaining us over the last 12 months. And Thankyou to all who voted this year, and for giving a little something back in recognition of the hard work and dedication of all those shortlisted. Have a Merry Christmas and a Great 2014! 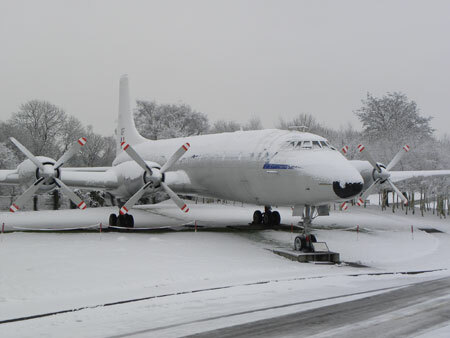 The Newark Air Museum is open up to and over the Christmas holiday period, however here are a few key dates and times to help ensure that you don’t make a wasted journey. As per normal the museum closes at 4pm on Monday, December 23rd and then reopens again at 10am on Friday, December 27th. On all other days the museum is open from 10am until 4pm, with last admissions at 3pm. Visitors are reminded that there’s lots to see inside so don’t let any poor weather forecasts stop you from visiting. It is also worthwhile remembering that in the period after Christmas the café may be operating on ‘reduced rations’ for a few days due to the inability to buy fresh stock because of the Bank Holidays. Before Christmas we hope that some of you might call in for those last minute presents, whilst after Christmas you’ll be desperate to spend that money you’ve been given. Don’t forget that we’ll also be closed on January 1st, but open again on Thursday January 2nd. 2013 has been a good year for visitors and income, which has enabled us to be able to hold our admission prices at the same level for 2014. As ever for those of you who can consider the Gift Aided admission it makes a huge impact on our income from the tax that we are able to claim back from HMRC. Next year we have some important and exciting development plans in the pipeline so every visit that is made to the museum helps contribute towards those costs. If by any chance the weather turns wintery and there are no visitors in the museum after 3pm, the museum may close early to allow the staff to get home during daylight. So as not to be disappointed by the museum being closed, please don’t leave your shopping trip until late afternoon! Finally we would like to send out a big Happy Christmas on behalf of all the volunteers, staff and trustees to all those people who have supported us throughout 2013; whether you are visitors, shoppers or event participants many thanks for your custom, good will and kind comments. It really is appreciated! FIVE popular restaurants and bars – four in Folkestone, one in Sandgate – are inviting patrons to put their ‘own’ aircraft in the sky at next year’s Folkestone Airshow. Designated as an Official Supporter, each has signed up to raise an amount of money which will enable Open Air Promotions Ltd, organiser of the two-day event, to hire a named type of aircraft or aerobatic team. The fund-raising scheme was launched this week and will run until the flying programme is complete. Folkestone Airshow pr and marketing manager Maddison Broom said that each Official Supporter had chosen the particular military or stunt aircraft they would ask their customers to fund. “They have their own ideas about how to hit necessary targets – by organising events and activities, for example – and we will help by promoting them through our social media websites. Their efforts will be invaluable in lining up the fly-pasts and thrilling high-speed aerobatics performances we are programming”. Folkestone Airshow 2014 Official Supporters, the amount they have set out to raise and their chosen aircraft are:The Chambers (£3,000, Tornado); The View (£2,500, Trig Aerobatic Team); Fresh & Easy(£2,000, Grob Tutor); The Frenchman (£2,000, King Air); The Royal Norfolk (£2,000, Sea King search-and-rescue helicopter). Chris Smith, owner-manager of The Chambers said: “We are thrilled to be fund-raising to bring the Tornado to Folkestone Airshow. It will be one of the loudest aircraft in the flying display and we aim to make as much noise with our fund-raising”. If you’re looking to escape the hustle and bustle this Christmas, why not visit the Royal Air Force Museum Cosford during the festive period? The Museum will be open daily throughout December from 10am apart from Christmas Eve, Christmas Day and Boxing Day. 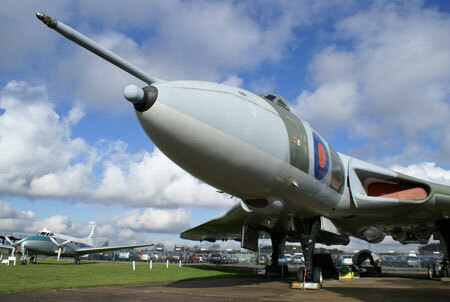 Not only will you be able to view the award winning National Cold War Exhibition, containing Britain’s three V Bombers Vulcan, Victor and Valiant and other aircraft suspended in flying attitudes, the Museum is also home to the world’s oldest Spitfire and the unique experimental jet TSR2. Plus, now on display is the last surviving Dornier Do 17, recently salvaged from the bottom of the English Channel. Best of all, if your credit cards are maxed out after Christmas, a visit to the Museum won’t cost you a penny as admission is FREE! So if you’re looking to entertain the children in the run up to Christmas, or your nearest and dearest in the lull before New Year, the RAF Museum has something to occupy visitors of all ages. The fun filled area of Fun ‘n’ Flight will keep the youngsters fascinated, packed with hands on excitement; it’s the easy way to answer all those questions about how aircraft stay up in the air. Reminisce in the Warplanes Hangar, where you will find a nostalgic wartime living room and garden setting, plus a wide range of historic aircraft including a Hurricane and a Lincoln bomber. If you need a break from all the cooking, why not treat yourself to a warming meal and freshly made cup of Costa Coffee followed by a festive mince pie in our Refuel Restaurant overlooking the Museum grounds. The Museum will close again on New Year’s Day and will reopen on Thursday 2nd January 2014 from 10am. The Museum’s annual closure week for maintenance, training and cleaning will run from Monday 6th to Friday 10th January 2014. For further information, please call the Royal Air Force Museum on 01902 376200 or visit the Museum website www.rafmuseum.org. The Museum is open daily from 10am and admission is FREE of charge. The Fleet Air Arm Museum’s February Model Show has attracted quite a following. In addition to exhibitors travelling from London and the Home Counties, Cornwall and Wales, the event has also attracted two intrepid exhibitors from Scotland. David Jack and Dougie Salmon represent Edinburgh Model Boat Club and travel from Edinburgh with their display of WW2 warships. Says David Jack “I attend shows all over the country but this one is the biggest and best and the natives are quite friendly”. The show attracts model makers of all persuasion – Over 110 traders and clubs will be exhibiting radio controlled and plastic aeroplanes, tanks, ships figures and more. Says event organiser Jon Jefferies “The event has been running for eighteen years and has attracted a loyal following of enthusiasts”. 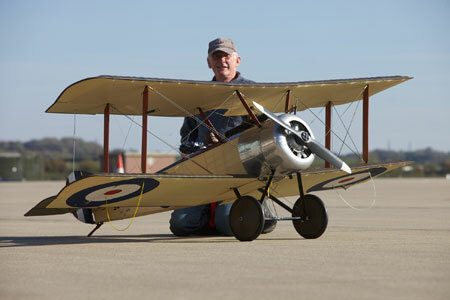 The highlight of the show will be a flying display by the British Model Flying Association whose model making and piloting skills are admired around the world. The flying line-up for this year has yet to be confirmed but previous shows have seen a 20ft wingspan B52 bomber and jet powered model Concorde taking to the skies. Whether your interest is in kits or ‘scratch built’ model aircraft the Fleet Air Arm Museum’s Feb Model Show undoubtedly will have something for everyone. There will be competitions for plastic modellers with generous prizes sponsored by Airfix, so bring along your best models and you could walk away with a prize. Standard museum entry prices apply and there is no additional fee for the Model Show. In addition to the show, visitors can have the opportunity of going on board the first British Concorde and on the award winning aircraft carrier experience. Christmas has come early at the Royal Air Force Museum Cosford with the arrival of the Experimental Aircraft Programme (EAP) technology demonstrator. This experimental jet helped pave the way for the renowned Eurofighter Typhoon and thanks to support of BAE Systems is now on display to visitors within the Museum’s Test Flight collection. The EAP, built by BAE Systems predecessor company British Aerospace (BAe), was the most advanced fighter design ever built solely by a UK manufacturer; its purpose being to bring together technologies applicable to future advanced agile aircraft. This twin engine, single seat aircraft of canard delta configuration was designed for close air combat/air superiority and battlefield close air support. EAP incorporated a fly-by-wire control system and featured good supersonic manoeuvrability and a short take-off performance, making it an aircraft way ahead of its time. During the 1970’s BAe and its predecessors had started studies into a combat aircraft that could replace a number of existing RAF aircraft including the Harrier and the Jaguar. The new aircraft was to be used in a ground attack role but with self defence capability. Originally planned as a partnership between Britain and neighbouring European countries including Germany and Italy, a lack of funding caused them to withdraw from the project and it became entirely funded by the UK Ministry of Defence and the British aviation industry. EAP was rolled-out at BAe Warton in April 1986 and made its maiden flight in August the same year flown by Test Pilot David (Dave) Eagles, BAe’s Executive Director of Flight Operations. During this initial sortie EAP reached Mach 1.1, faster than the speed of sound. After months of testing the aircraft had attained a maximum speed of Mach 2.0 and investigated or proved some 36 technological developments before going on to perform for crowds at airshows. Four more years of trialling the latest technologies followed before the aircraft conducted its last flight in May 1991, having flown 259 sorties totalling 195.21 flying hours. EAP was capable of attaining speeds in excess of Mach 2 and could fly at angles of attack of over 35 degrees in controlled flight, exceptional even by today’s standards. The aircraft then spent almost 16 years on display at Loughborough University in the Department of Aeronautical and Automotive Engineering, being used for undergraduate student design appreciation exercises. After being transported by road to the RAF Museum Cosford in March 2012, EAP remained in storage until late Summer 2013 when it was moved in the Museum’s award winning Michael Beetham Conservation Centre. 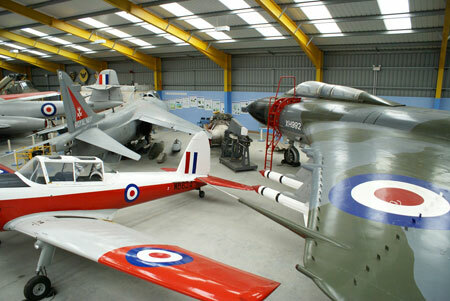 Following a small amount of conservation work the aircraft has now been placed on display for Museum visitors to enjoy. People planning to attend next summer’s Royal International Air Tattoo on July 12-13 are being invited to make an extra pit stop as part of the RAF’s official celebrations marking the Red Arrows’ 50th display season. Up to 10,000 special Pit Day tickets, priced £24, are being made available for Friday, July 11 offering exclusive access to the world famous aerobatic display team and their aircraft. The Red Arrows’ Pit Day will also enable visitors to watch aircraft arrivals and rehearsals in the morning and enjoy a four-hour flying display in the afternoon including the premier of a special Red Arrows’ formation flypast. Other Pit Day benefits include access to Showground East Red Zone (10am to 6pm), the Red Arrows Village and Vintage Village, the BAE Systems’ Hawk and F-16 Anniversary Park plus close access to other international aerobatic teams and their aircraft – with more exciting themed activities to be announced. The Red Arrows began life at RAF Fairford in 1964, performing their first display at Little Rissington in the Cotswolds a year later. Since then, they have performed more than 4,500 displays in 54 different countries. Air Tattoo organisers are working closely with the Royal Air Force and other air armsto stage the UK’spremiereinternationally-flavoured aerial tribute to the world’s most famous aerobatic display team. As well as celebrating the Reds’ 50th display season, the Air Tattoo will be marking the 40th anniversary of two other aviation landmarks: the 40th anniversary of both the Lockheed Martin F-16 Fighting Falcon and the BAE Systems Hawk, the aircraft currently flown by the Red Arrows. Tickets for next summer’s Air Tattoo go on sale from Wednesday (November 20) includingspecially-priced Super Earlybird admission tickets, Friday Red Arrows Pit Day ticketsplus a range of enclosure packages. Discounts of up to £10 per ticket are available until January 31, 2014. Visit www.airtattoo.com for details. 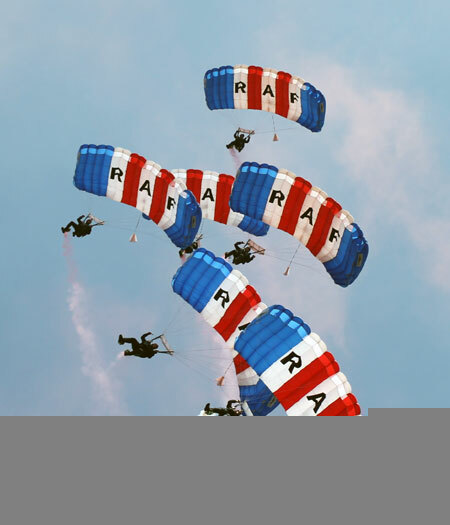 The Air Tattoo is the world’s largest military airshow and is held annually in support of the RAF Charitable Trust. The RAF Cosford Air Show has won one of the top Shropshire tourist awards for 2013. The winners of the 2013 Shropshire Star Awards were announced at a packed ceremony held at the Ironbridge Museum on Monday 18 November. The final announcement of the day was the winner of the Tourism Event of the Year, sponsored by the Shrewsbury Club, and with a short list including two other major events it was a tense moment for all those concerned. However, the Air Show which brings over 60,000 people to the county was a popular choice. The Award was received by Air Show Chairman, Wing Commander Paul Lilly, and Air Show Director, Amanda Butcher. Amanda Butcher said “RAF Cosford Air Show is proud to be part of the Shropshire Star Awards and we are delighted that our contribution to the County has been recognised. The air show brings a lot of people into the area and many of them will also have taken the chance to enjoy some of the pubs, hotels and other attractions that have won awards this afternoon. Today has really shown the outstanding quality of the visitor experience in Shropshire”. The RAF Cosford Air Show has also been shortlisted for best UK Air Show by the specialist website Airscene and voting is still open at www.airscene.co.uk for the Airscene Awards which means the 2013 event could be a double winner. The excitement is mounting as the date of Monday 25th November approaches and the Yorkshire Air Museum prepares to mark the 20th Anniversary of the arrival of Handley Page Victor V-bomber XL231 “Lusty Lindy” with a high speed (120 knot) dash of the aircraft down Elvington airfields long runway! This will be timed to coincide with the exact moment XL231 touched down at 14:20pm on 25th November, 1993. To add to the spectacle, the braking parachute will be deployed at this moment, to slow the aircraft down from its near take-off speed dash, as occurred when the aircraft landed 20 years ago. “Lusty Lindy” will first be started up on a dispersal point, conduct some high power throttle ups of the four mighty Rolls Royce Rco 11 turbo fans, each capable of developing 17250 lbs of thrust, and then circle the dispersal before making a slow initial taxi down the runway, for the benefit of viewers and photographers, then turning to make the fast run. After the run, there will be opportunities to get a closer look at “Lusty Lindy” when she is safely parked up and shut down. To add to the party on this special day, the Museum’s similarly ‘live’, ground operational Nimrod MR2 XV250, the ‘Mighty Hunter’, will also make a fast taxi down the runway prior to the Victor’s run, symbolising the service relationship between the aircraft types. A special voucher will be available on the day to allow visitors to see this awesome spectacle of power at close quarters on the airfield itself, with proceeds contributing to the fuel for these aircraft runs. 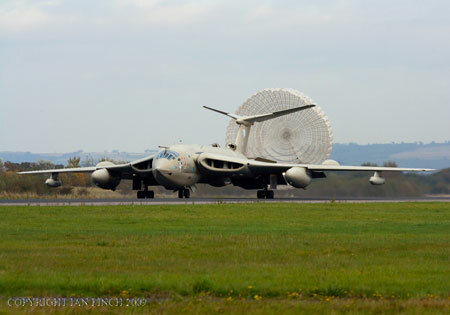 The saving of HP Victor XL231 as an icon of British engineering design and technology, is the result of a unique collaboration between the Yorkshire Air Museum, the Handley Page Association and the Tempest family. The ball was started rolling in 1992 by Harry Fraser Mitchell of the Handley Page Association, who lobbied the MoD on behalf of the Yorkshire Air Museum, to secure one of the 55 Squadron Victors, then based at RAF Marham, for Elvington on their imminent retirement from 35 years service. It was disclosed that some aircraft would be disposed of to suitable aviation museum’s and organisations, through a ‘sealed envelope’ bidding process, and so the Museum duly mounted a fundraising campaign from amongst our members and supporters to raise the funds envisaged. By October 1993, with the retirement of the aircraft looming and the window of opportunity closing, it had become clear that insufficient sums had been raised. At this point, local businessman Gerry Tempest came in, after being persuaded by his son and YAM member Andre, that it would be a ‘good idea’ to buy an aeroplane, namely the Victor. Gerry reached an agreement with the Museum that he would put up the funds to purchase the aircraft, to be owned by his family, but classed as a Museum exhibit and purchased under the Yorkshire Air Museum name (to meet MoD requirements) in return for free standing for the aircraft at Elvington. The bid was successful, and Gerry and Andre Tempest went to RAF Marham at the end of October 1993, to select the aircraft, with XL231 being ‘the one’. The Museum made the final arrangements with the MoD, RAF and local residents to facilitate the flying in of “Lusty (perhaps Lucky) Lindy” on 25th November 1993. Andre Tempest and a team of volunteers have maintained XL231 in ground operational condition ever since. Built in 1961, with maiden flight 28th December, and joined 139 Squadron, RAF Wittering, 1st Feb. 1962. To carry ‘Blue Danube’ Nuclear bomb or 35 x 1000lb iron bombs. Converted to Mk 2 status in Nov. 1963 and re-joined RAF Wittering Wing in July 1964. To carry the Avro ‘Blue Steel’ nuclear warhead missile. Converted to K.2 Tanker (air to air refuelling), the FIRST prototype, on 23rd Jan 1972.The aircraft was fully converted to K.2 specification, zero fatigued to as new. In 1977, XL231 was taken on charge with 57 Squadron, RAF Marham. In the build up to the South Atlantic campaign, XL231 was chosen for trials to convert Nimrod and Hercules aircraft for in flight refuelling. In this role, the aircraft saw service in support of the Falklands War and also saw action in the Gulf War, in 1990, after being transferred to 55 Squadron (Marham). It was during Operation Granby (Desert Storm) that XL231 was given the “Lusty Lindy” decal, in honour of the Crewchief’s wife! XL231 returned to the UK in September 1993, but 55 Squadron was disbanded in October 1993, with XL231 making her last service flight on 15th October, as part of the disbandment flypast. The Victor was the longest serving of the V bomber generation, which included the Avro Vulcan and Vickers Valiant.